In this online webinar, see why and explore how one energy giant reorganized its finance function to make it more strategic and improve efficiencies. 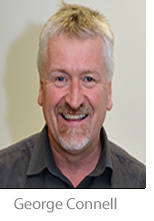 The speaker sharing is George Connell, Vice President Strategy & Glasgow Centre Finance Lead, Finance Operations, who is currently responsible for Shell's global finance shared service strategy and is leading the planned global migration. Shell combines data from its five finance center and uses it to benchmark operations globally. By looking at it from a central perspective, Shell can improve on best practices and load sharing. No matter where in the world its finance people are stationed, they work as part of a global team. Date: On-Demand (watch at anytime). Fee: $149 per participant (includes anytime access, summary & certificate). - or - $495 per participant for access to over 50 webinars (click for details). All Registrants Receive . . .
1. Access to the Recording of the Meeting. We will provide you with a link and access code to watch the meeting. You will also be able to see the Powerpoint used by the presenter as the slides change. You can watch it any time at your convenience. You may also re-watch it as often as you wish for up to a year. 2. Executive Summary of the Meeting. We do a great job summarizing the meeting with a 2-3 page executive summary containing all the salient points and usable ideas you can put to work within your own organization. The summary contains key takeaways and learning nuggets so that you can easily reference them. 3. CEU Credit Hour Completion Certificate. We will also provide you with a Certificate of Completion after the event once you watch it. It can be printed and framed if wished or provided to HR. In most states you may also submit this completion certificate for credit consideration toward professional designations you may hold. 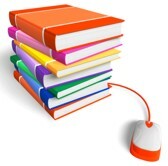 One-Year Library Access to Over 50 Webinars. • 50+ webinars by top executives. • Book of the month access. • Executive summaries from all the webinars. • Access for an entire year. To upgrade just register for this webinar then click HERE to chat or leave us a message to upgrade you. "Very useful information, right on target!" "Information you know but don't know how to use. Very useful." "Too many effective ideas to mention. Simply put -- potential for real positive and effective change. One word -- fantastic!" "I came hoping to pick up one or two tools. I am taking home a full tool box!" "It was very useful and I will utilize many of the points and objectives." "It was well worth my investment in time!" 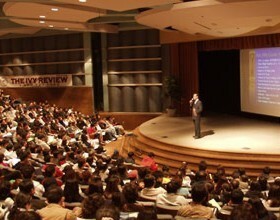 "Great presentation, great speaker, excellent information and strategies." "I think this will really help my ability to manage my team members and revamp our department." "This information may be applied in any field!" "Very informative and thought provoking. I know that a lot of the points made will be applicable on a daily basis." "Refreshing speaker -- full of wordly and earned knowledge." "The presentation was excellent - very thought provoking." "The speaker was incredibly entertaining and engaging." "The speaker drove home how important and to some degree how simple and straightforward the basics of sound practices are." "Thank you, this is a good info summary. I found the presentation very interesting." "This is terrific. Content curation along these lines is a great help." "This really helps focus our attention. Thanks!" "I think you provide excellent value for the cost." "Let me say once again that your presentation was brilliant. . . you had them thinking individually about the real issues they would need to deal with in facing the changes ahead." "This had a real and fundamental impact on my business acumen and positive business outcomes." "This event was absolutely critical in aligning our leadership with the corporate values and strategic direction of the company. "